Corporate Connection is proud to be a minority-woman owned business and was started in 1995. We offer fifteen years of knowledge and experience in promotional marketing in many different fields. We are a full service corporate apparel and promotional products company offering a wide range of ways to promote your company. "As a business owner, we need to cater to our clients, our guests and our customers, and meet their needs before our own"
In 1995 Lisa Herrera founded Corporate Connection, a full-service promotional products and branded apparel agency that helps its clients increase sales and raise brand awareness. She currently manages the day to day operation and client relations. 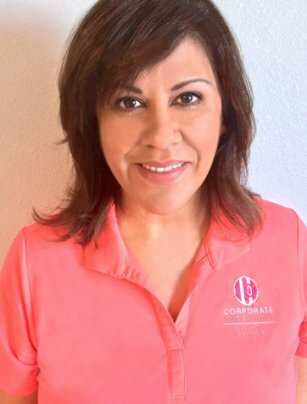 She has built Corporate Connection with a loyal client base in El Paso and beyond.